Tayo Heuser was born in Washington D.C., and raised in Africa and Europe. She received her BFA from the Rhode Island School of Design and MFA at Vermont College. Heuser lives in Providence R.I.
Heuser has exhibited widely both nationally and internationally including, the Phillips Collection Museum, Washington D.C., the Rhode Island School of Design Museum, the David Winton Bell Gallery at Brown University, the University Art Museum, California State University, Long Beach, the Chazen Museum of Art, University of Wisconsin, the Weatherspoon Museum, University of North Carolina in Greensboro, the Sloan Kettering Cancer Center, NYC, the Chateau de Fernelmont in Belgium, the Center for Non Objective Art, Brussels, Belgium, H29 Gallery, Brussels, Belgium, the Exhibition Gallery at Roger Williams University Bristol, R.I., the Dorsky Gallery in Brooklyn, N.Y., Margarete Roeder Gallery, NYC, Josée Bienvenue Gallery in NYC, the Newport Art Museum, Newport R.I., Cade Tompkins Projects, Providence R.I., the Chazan Gallery Providence, R.I., the Cynthia Reeves Galley in Hanover N.H., the Deedee Shattuck gallery in Westport Mass., the Bristol Art Museum in Bristol, R.I., amongst others. 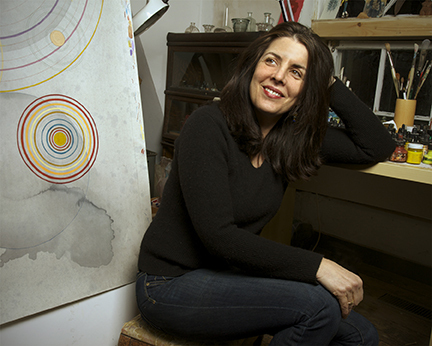 Heuser has been the recipient of the BAU Institute residency in Otranto, Italy (2012), The Women’s Studio Workshop in Rosendale NY (2016), Louis Comfort Tiffany Award nominee (2010), Networks RI in 2012 (documentary), Vermont Studio Center Fellowship (2011), Professional Development Grant to study paper making in Japan from Roger Williams University in 2009. Heuser’s work is in the collections of the Phillips Collection Museum, Washington D.C., the Hammer Museum in Los Angeles, CA., the Rhode Island School of Museum, Providence, R.I., the Weatherspoon Museum, Greensboro, N.C., Brown University David Winton Bell Gallery, Providence, R.I., the American Embassy in Jeddha, Saudi Arabia, the Leeds Foundation in Philadelphia, Pa., the Werner Kramarsky Collection in NYC, the Progressive Corporation in Cleveland, Ohio, Fidelity Investments in Smithfield, R.I., Duke Energy in Raleigh, North Carolina, Blue Cross Blue Shield of RI, amongst many other public and private collections.